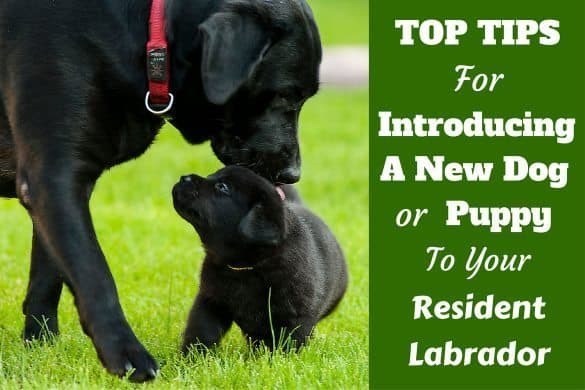 If you’ve spent any time at all reading about Labrador Retrievers, the terms ‘American Type Labrador’ and ‘English type Labrador’ simply must have come up, being very commonly used terms when describing different labs. But what do these terms mean? How did these terms come about and make it into common use? Is it just the country of their birth or are there other differences between them? Are There Really Different American And English Types Labrador? 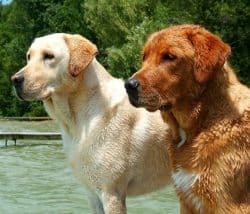 Do The English vs American Lab Breed Standards Differ? The Breed Standards May Be The Same, But Side By Side They’re Very Different! Will There Ever Be An Official Split Of The Two Types? 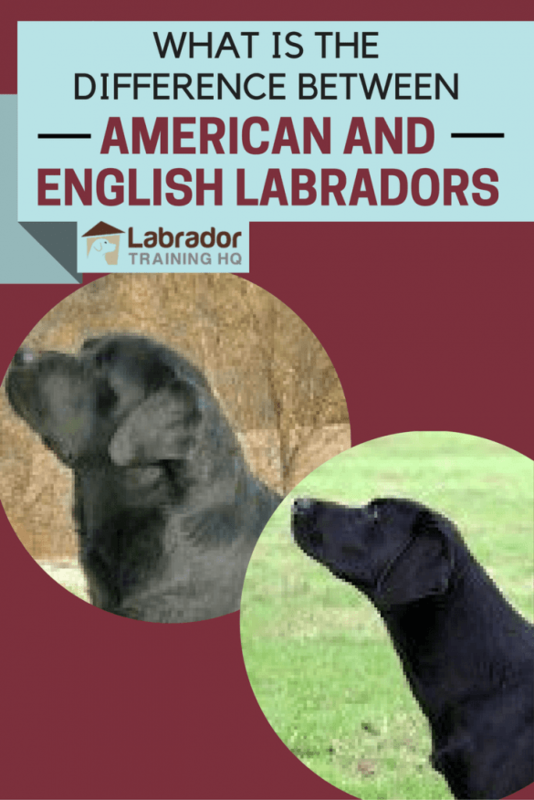 The distinction between American and English type labs is not an official one, but the types are now almost universally recognized by all and there are distinct differences between them. The terms are commonly used and widely known and accepted nicknames for Labradors with ancestry from the respective countries, but also that have been bred for different purposes. Fox Red Labrador Retriever beside a more traditional Yellow, showing their contrasting colors. The English and American types of Labrador are distinguish according to bred for show (conformation dogs) and for hunt (field dogs) respectively. In general, these types of dogs are friendly, dependable good nature, playful, and love of human companionship. They are popular as companion and as service dog. Moreover, the Labrador is first and foremost a retriever. Labradors bred for show and conformation have become commonly known as English type Labradors as they’re way more common in the UK. 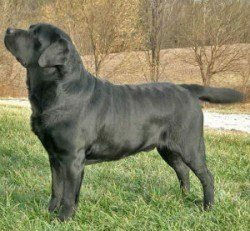 Labradors bred for field trials and hunting have become commonly known as American type Labradors as they’re way more common in the USA. But perhaps confusingly, there are American Labs that enter dog shows and there are English Labs competing in field trials and used for hunting. The terms ‘American Labs’ and ‘English Labs’ aren’t absolute and strict terms, but more a useful guide of the probable type of Lab being described. There are many exceptions. The UK kennel club, the AKC and no other national registry or parent club of Labrador Retrievers contain in the breed standard, or recognize in any way, a difference between American and English Labradors. They simply do not differentiate between Labs. The American breed standard allows a height of between 21.5 to 24.5 inches while the English breed standard allows a height of 21.5 to 22.5 inches. This is probably in recognition of the fact the American Labs can be taller and longer in leg…but more on that later. With the exception of this difference, the two Labrador breed standards are essentially the same. They describe exactly the same dog. So why do people say there are two types? Seeing an American type and an English type Lab side by side really does highlight some startling differences. Here is a brief description of the differences you’d typically see in their physical appearances. 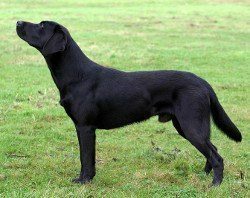 What Does A Typical English Type Or Show Bred Labrador Look Like? Looks more substantial with a heavier look about them. Blockier and bigger built with barrel chests, they’re noticeably wider and more ‘solid’ looking. Has a wider head with a more pronounced and better defined stop, a fuller face and a shorter muzzle which further adds to their more solidly built appearance. Has a thicker, more powerful looking neck. Has a very noticeably thicker coat. Has a wider, thicker and generally straighter tail than their American cousins. Has shorter legs and hence don’t stand quite so tall. Bred for conformation they’re usually far closer to how the breed standard is written than the American type. What Does A Typical American Or Field Type Labrador Look Like? Has a lighter, slimmer looking body. With a more athletic build, lithe and finer boned, they look more agile and ‘ready to go’. Has a head that’s not as wide as their English cousins. The skull and face are noticeably narrower, and their muzzle more streamlined and longer than the English lab. Has a thinner and longer neck which adds to their more lithe and athletic look. Has a noticeably thinner coat. Generally has a tail that is thinner and less ‘otter like’ than an English Lab. It looks longer and some even have a little curl to them. Has longer legs and so are taller when compared to an English lab. In combination with their slimmer build, this further adds to their look of athleticism. Bred for working ability, there’s far less desire for breeders to aim for the breed standard so they’re almost always less closely matched to how the breed standard is written. Is there a Difference Between Labrador and Labrador Retriever? All Labs should meet the same standard, Labrador and Labrador Retriever are the same dog. There is no difference, there’s just only one Labrador Retriever (Canis familiaris). In Labrador breed standard, there is only one Labrador Retriever. As a rule they’re bred for work and field trials, so the American Lab has a higher energy level and ‘drive’ than their English cousins. They’re noticeably more active and ‘always on the go’. But of course higher energy levels are needed in a dog with such demands placed on them as working all day. The higher energy levels and drive have earnt them the label of being more high-strung as they really are always active and need constant exercise and attention. In terms of temperament and perhaps due to the mix of high intelligence and high energy, they’re considered more head-strong and need a more experienced and strong-in-character owner to achieve control and a well-behaved and balanced pet than does an English Lab. Without a doubt, the American type is more suited to life as a working dog than as a relaxed family pet. The English Lab is considered calmer, less active and quieter in nature than the American Lab. More often described as sweet, mellow, extremely relaxed and quieter when compared to American labs, they’re considered easier to train and to live with for less experienced and laid back owners. Although still ‘driven’ and suitable for life as a working dog, if a family pet is what’s desired, the English lab is far more likely to slip into this role as they’re far less demanding when it comes to activity and will more readily chill at your feet at the end of a hard day. Regardless of type, when it comes to being loving, affectionate and an immense desire to please, both the American and English Labradors are equally matched. True to the breed standard and part of what makes a Lab a Lab, both the American and English types are highly intelligent, keen and biddable. Very kind in nature, bold and confident whilst void of any aggression. But you should be aware that differences in energy, ebullience, being head-strong and controllable do exist between the two types. The reason for the difference between the English lab vs American lab is due to many decades of specialized breeding. Labradors bred especially to hunt and compete in field-trials are selectively bred for their working abilities. Higher energy, higher drive, more athletic, slimmer built and agile dogs, these are the most desirable traits in a working Labrador. They’re bred with far less regard for conformity to the breed standard and more for their ability to perform than a Labrador bred for show. Labradors bred for show in conformation competitions are selectively bred for their looks and temperament alone, with the Labs most closely matching the breed standard and winning awards in the ring going on to be used in breeding programs. Their ability to perform in hunting and field trials is secondary at best. It used to be a Labradors conformation and working ability were equally important, with many breeders aiming for the prestigious ‘double champion’ who would win in both the ring and out in the field. But the two disciplines have become so specialized and competitive in recent decades that double champions have become rarer and rarer with breeders having to concentrate on just the one area to stand any hope of success. And this is what’s lead to the branching off of the two distinct types and the trend is likely to continue and the differences likely to become even more pronounced. Especially bred to have the qualities needed in a successful working dog, the American type is very active, with boundless energy, stamina to match and an adventurous and strong-minded attitude. As a comparison to humans they’re much like an Olympic athlete and truly physically elite. An American Lab is suitable if you’re looking for a hunting partner, want to get involved in field trial competitions or have a very active outdoor lifestyle. However, as a family pet and house dog I think they have way too much energy and are too hyper-active than the average family can handle. They need a lot of exercise, constantly need to have their minds occupied and hence will take up a lot of your time. If you’re not ready for this and cannot provide the level of activity they need, you may find they get bored and try to entertain themselves and this is when people say they have a problem Lab on their hands. Especially bred for looks and temperament to match as closely as possible to the official breed standard, the English type Lab is perfect if you have any intentions to compete in conformation shows or wish to go into breeding. But they’re also far less exuberant, less full of energy and aren’t as highly strung when compared to an American type Lab. They tend to calm down after puppy-hood much sooner and are more eager to please and easier to train as a well-behaved companion. This is because they haven’t been bred for high drive, courage, dogged determination (pardon the pun) and peak physical performance. So if you’re looking for a Labrador that won’t be too high energy to manage, is easier to train, less demanding of activity and time and more suited to life as a family pet, then you should choose an English Labrador. Please don’t take this to mean that an English Lab is low on energy and easy to manage! They’re still highly intelligent and energetic dogs that need regular exercise and their minds to be occupied, but compared to an elite American field trial or hunting Lab? Well, they’re worlds apart! 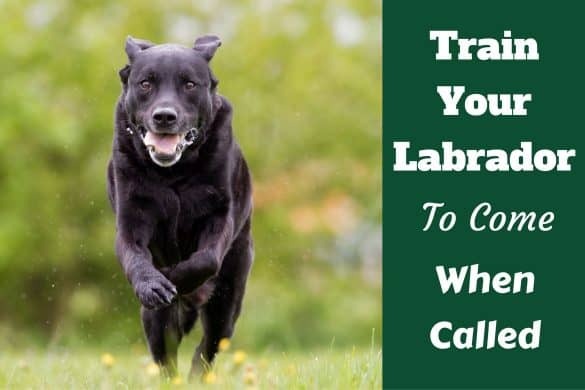 The split of Labradors between the English and American types, or the field trial and show types, is very ingrained and accepted terminology within the Labrador world in general even if not with the official parent clubs and kennel clubs of the world. 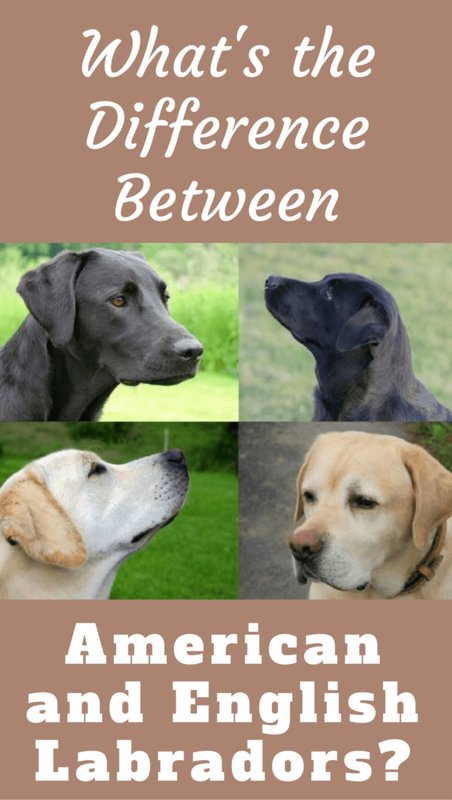 But the differences that exist between American and English Labs is undeniable and becoming more prevalent as the breeding lines of those for show and those for working Labs become ever more separated. Some breeders, particularly those from the American field-trial genre feel that the show ring no longer gives their dogs the recognition they deserve. The more ‘true to standard’ English labs always win in the ring leaving field trial champions to be less and less recognized in show. So there is lots of debate about splitting the breed into two types and I guess we’ll just have to watch this space to see what occurs. There are quite considerable differences between ‘American type’ and ‘English type’ Labradors, both in looks and disposition. So which type is best for you? This depends on your lifestyle and what you want from your dog. American type Labradors are generally more athletic, energetic, more highly driven and better suited to an outdoor life of hunting and sports, or for families with a great deal of energy and real outdoor types. English type Labradors are blockier and bigger built, calmer, more docile and better suited for life as a family pet…but still an active family nonetheless. To choose between the types, do a little research, be honest with yourself about which would best fit into your pace of life and try to meet a few of each type to see which you prefer. 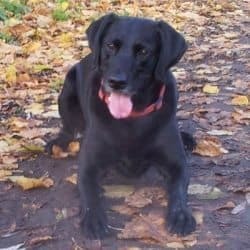 If you know what you’re after before you ever approach a breeder then you’re much more likely to end up with a Labrador that best suits you, and a Labrador will end up with an owner that is best for them. ‘American types’ aren’t always more energetic and demanding, ‘English types’ aren’t always more relaxed and easier to handle, but the types are true enough to be a good guide and a place to start. 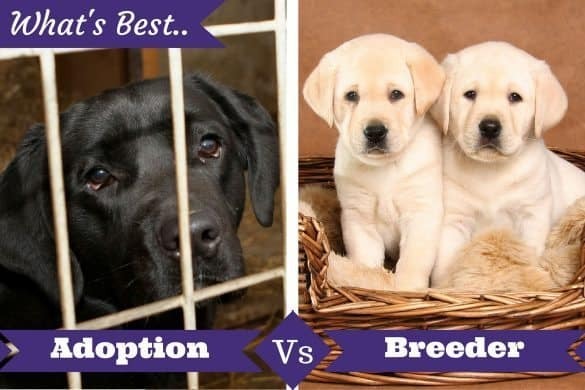 Adoption From Shelter Vs. Buying From a Breeder: What’s Best For You? We have plenty of both show and working labs in the UK and generally differentiate between them using those two terms. I only really hear English and American labs when talking to people from the US. I agree, it does tend to be used more in the USA than the UK. I think that’s because the working labs in the UK are more ‘moderate’ as some call it? Still quite close to the breed standard in looks where a lot of US working lines really are strikingly different. I believe these terms are outdated. There was a time when those terms were used There should be little difference a properly bred lab should be able to compete in the show ring and the field. For several years American show Labs have become much larger and heavier. Males in particular. Hi I have an American Lab who fits all the above traits. She has a tail that wags for Britain and is very sensitive to everyone’s mood. She swims at every opportunity and will go forever given the chance. There is a breeder in Drummonds TN that has a few British chocolates that he had shipped in from across the pond.  He is reasonable very informative and his dogs are extremely trainable without use of shock collars. He is a duck hunter. He also has blacks. He had several brits and one American. You hardly heard of peep out of the brits but the American wouldn’t shut up granted he was still young but definitely different. Splash Kennels is name of his small business. Also… My Lab has a great bloodline. Her mothers side is full of Confirmation and Field Grand Champions, as well as some Canadian Dual Grand Champions. Almost all yellow Labs. She was yellow. Her father’s side was chocolate and I don’t remember what else. I haven’t looked at my dog’s pedigree since I got it 4 months ago. Yes, I got the best of both. My chocolate girl, Dixie, is the smartest, most beautiful dog I’ve ever owned. By a long shot. I thought my last dog was smart. She was. But Dixie is off the charts. She’s my 8th or 9th Lab and 3rd chocolate female. My first AKC-registered Lab, though. She’ll be a yr old in 10 or 12 more weeks. Is breeding an American lab with hunting lines with a grand champion English lab a good idea? would pups be called ‘””American with English lines”? Generally speaking, when an American (field or working lines) Lab is crossed with an English (show or bench) lab, the resulting puppies are described as ‘moderate’. They may be moderate show or moderate field dogs. As to whether it would be called ‘American with English lines’, this term would be used where the ancestry of a dog is predominantly American, with the genes of an English lab introduced in it’s ancestry, like an English grand-mother/father, or great-grandmother/father…or even further back than that…but all other recent ancestry being American. English and American styles are used here in the US, but really the most striking difference is between real UK English show labs and real US American field labs. 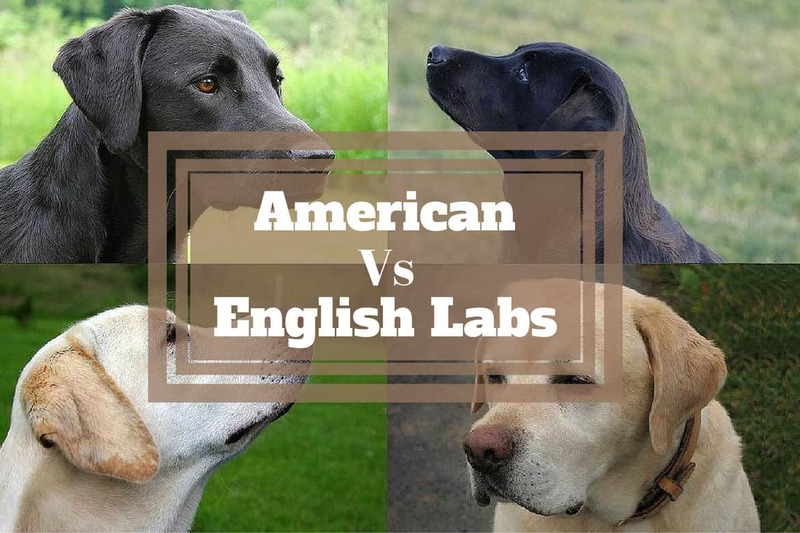 Based on the pictures in this article I love the look of the English lab quite a bit, but you will find that most American labs actually fall somewhere between the two. This is because field trial breeders and show dog breeders make up such a small percentage of owners. Most people have pet labs which a lot of breeders breed for and have a good mix of lines based on their personal goals of what a lab should be, within the standard.I actually met a breeder who claimed she was breeding for the English style, but the description of her goals was very American style. I kind of prefer the ‘stockier’ look of the English labs too and it’s always the kind of vision I have in my head when people speak about Labs. I still find it hard to accept just how lean and athletic ‘correct weight’ labs are supposed to be after seeing nothing but overweight labs for the first 20 years of my life. When most English people see a correct weight lab, especially a working line, they think the dog’s skinny and underweight and I would have thought this myself for many years! I was also unaware of the distinction before I got my first Lab two years ago. My research was not as thorough as I thought. As I was waiting for my pup to “fill out” I started hearing about the differences from people who were more informed than I. At two years of age she is a lanky and elegant looking dog who is obsessed with the ball and can outrun all contenders. Most people argue that she must be mixed – they usually assume Ridgeback because her coat is quite red. It is true that the field lab is a high energy dog. Even as I type this out, I’m getting the look asking why we aren’t outside chasing the ball? I have an English lab and I live in the USA. My dogs veterinarian says there isn’t a difference between English and American labs and says my yellow lab is over weight because he is short and stocky(looks just like the black English lab in pic from this article). I’ve gone to 3 different vets and they all say my dog is overweight so I will send this article to all of them. Cane is the best dog I ever had and so protective of my son! Thank you for this wonderful informative article. Have a look at your dog from above – is there a slight waist? And when viewed from the side is there a visible tuck as described? Most importantly, how does your boys ribs actually feel? Even a heavy set, big boned dog should have the features described and the ribs should be easy to feel. It’s worth knowing that a dog maintained at the ‘ideal size’ will on average live 2 years longer than a heavy or obese dog. I have male and female siblings that had an English Lab mother and an American Lab father. I got one of each – They are exactly like the pictures and descriptions in this article: Turbo, the male, is tall, slim, and athletic, while Mojo, the female, is thicker, more laid back and calm. Actually, Turbo is more receptive to training, eagerto plaese, while Mojo is an affectionate Lump. They are both equally destructive puppies, but improving with age. Amusingly enough, I think Turbo is a bit too skinny and Mojo too heavy. Feeding time is an adventure as we have to get Turbo to eat all his food ( he is a picky eater, a rare condition for a Lab in my experience) and trying to keep Mojo out of his food before he is finished. My vet also suggests that Mojo lose some weight, but reading here I feel better about that. They are just over a year old, and are inseparable. I absolutely love my two very different monsters. Just wanted to post a comment about my experiences with Labs. My first died at 11, my second died at 12 1/2. My third and my best buddy (since we got him when the kids moved out to college) died at 17 yrs 2 mo. I now have an 11 wk old puppy and can honestly say that there wasn’t a nickles worth of difference between all of them. High energy, extremely intelligent and always testing boundaries. The only real difference that I can think of is, my last one’s appetite for chocolate. It seemed as though his capacity was ALL that you forgot to put high enough during the holidays or the 4 dozen chocolate chip cookies that his buddy (the cat) knocked off the refrigerator. I’ve always heard that chocolate was poison to dogs, maybe that’s why he only lived to 17+ yrs. As you might guess I could tell stories for hours about Jedi, who i’m convinced was the model for Marley. I have a Canadian chocolate lab that is 79 lbs of muscle and the most focused dog I have ever owned. For 40 years I have had German Shepard’s and cannot believe that this Lab is so determined. I now realize why border control uses retrievers as they are so focused. The difference is intelligence versus focus. My Shepard’s were so smart to guard my family and give me peace of mind while I traveled the globe, now that I am retired and at home the Lab fits my family needs. So cool to be able to stay home now and have a family pet. Hi let me tell you something you have a great guard Dog also especially if you have any Children at home . I really dont get why Americans call them “English” and “American” labs. You may say that english labs tend to be stockier, but my Male english lab is 25kg, or 55lbs, and isnt underweight, whereas the standard for american labs is 60-70lbs. He also stands at 65cm from his shoulder, while the labrador standard is maximum 62cm. As you can tell, he’s much taller and weighs less than the standard for the lab, even the american standard. He is a purebred and has a pedigree to prove it. In england, labs are bred with two different lines, working, and show. Assuming that English labs are all the same as the show standard is almost racist, kind of similar to saying only american labradors can be the more athletic breed. Its like saying “Marley from Marley and Me is an american lab, so all american labs must be bred the same and look like that. English labs are superior athletically in this case because some English labs are bred for hunting”. This is wrong as in both countries, the intended purpose will determine what your lab will be like. well, marley might be not the BEST example, as its not that bad of a lab athletically, but is the only example i could think of that people would know of, but still proves the point to a degree. I (and I’m sure everyone) completely agree. The ‘American’ and ‘English’ labels are just a broad generalization, not a definite, fixed or always correct rule. But it’s useful to give an overview / set expectations of what type of Lab people are talking about. Seven years ago we adopted an “American” type chocolate Lab (about a year old at the time) who was homeless (lost or abandoned; we never found out which) who started hanging out in our yard. We had to make a decision to either adopt him or find a home for him when he stole two of our neighbor’s chickens and brought them to us. Didn’t kill or injure either of them, just stole them. He’s a handful still but one of the most wonderful dogs I’ve ever had. And I’m glad I didn’t read this article at the time so I didn’t know I’m not “supposed” to want that type of Lab for a pet. I can’t say I agree that English labs are easier to train. I had an American lab for 10 years and he was the most chilled and eager to please, easy to train dog. He loved to fetch and was excellent off leash. With very little training. I currently have my first English lab bred from a very reputable breeder. He has been substantially more difficult to train, and does not seem to have that eager to please temperament that my “working” lab had. Everything I have read about the differences in trainability between the 2 point to American labs being more eager to please and easy to train. And that has definitely been my experience. My daughter and son in law just bought an English lab puppy from BFF Labradors. I’ve been following the breeder on instagram for several months and she seems to be wonderful with her dogs. I have seen several reviews on her and every one is positive. My daughter ans son in law live in Cali and flew out to Virginia to pick up their puppy. You might try that breeder. Intagram is BFFLABRADORS, she is also on FB or you can google her. Bay Breeze Labradors. Good luck! I am having an argument with my daughter about a “lab” I had 10 years ago. He was an “east shire”or something like that(rescue dog from the North Shore Animal shelter’ original name was Clarence, renamed Willow cause he was so magical) He looked like a lab, but had a white streak down his chest and his paws were white. I once saw the breed in a book once, it said that they weren’t true labs, but because of the close resemblance, most people included them in the lab classifications. (? )I recall that the book stated the breed was all but removed from the classifications can any one help me? It’s not at all uncommon for labs to show a white spot – or even a streak – on their chest. It’s less common, but not rare, for some labs to show white hairs on their feet and groin area too. A small white patch on the chest is permissible in the breed standard, but large streaks or white hair elsewhere is not. So he may have been a pure lab, just mismarked, but I couldn’t possibly say for sure. Google ‘mismarked labradors’ and look at some of the top results. There’s some surprising patterns occur now and then and in the articles it is discussed along with images. Could have been a mix of lab and Staffordshire Bull Terrier from what you are saying. I ended up with a field/working lab that I thought would be a house dog. I am 70, and find it hard to keep up with him.he is a beautiful dog and excellent in the house. Will he ever settle down,he is 4. every time I get out of chair he herds me to the door. what can I do to make him a little more docile. He ia a great dob, just not a love puppy. There is very little you can do except provide the exercise he needs I’m afraid. Could you enlist the help of family, friends or a professional dog walking service to exercise him more? English type Labradors can make outstanding hunting companions. I personally have bred a show champion master hunter, a master hunting retriever champion/master hunter, a senior hunter show pointed in the ring his first time shown. All of proper English type. I have also bred and had field bred labradors of proper english type. It is harder to find the field bred dogs of proper type than it is to find English Type Labradors with good hunting instincts. The way to find a good English type Labrador to hunt with is to look for hunting titles close up in the pedigree. Some breeders breed for both – others just breed to win. i have a a field lab out of a highly sough after sire out of Lean mac and he is a wonderful house dog. highly trainable and extremely pleasant to be around in our home and also training for field trials. . i also had a show type lab that i placed as a rescue that was also pleasant but not as easily to please and train so as a previous breeder of field labs what do i say. Choose your pups carefully. I don`t understand how the Labrador Retriever can be described as English or American seeing that the breed originated in Newfoundland. According to what I have read, the Labrador retriever originated from Newfoundland (St. John’s Dog). Newfoundland being part of Canada and encompassed in the territories (?) of Great Britain. I am a certified AKC Labrador Breeder & Member of the National Labrador Breeder’s Club… Located in the North Western Mountains of Maine…(Maine is the State where Labradors reign supreme-and applied for to be the official State Dog of Maine)… We diligently maintain the breeding standards; DNA testing and lineage research for the Purest of the English Labrador Retrievers. While it is factual that all Labradors, generally, have most of the same temperaments, We maintain that there is a decidedly major difference between the “American” Lab, and the “English” Lab. The English Lab is closer in appearance to it’s true original parent lineage of the Newfoundland (Newfie)…or St John’s Dog…While the American Lab is closer in appearance to the original Parent lineage of the English hunting dog, for which…both the Newfie and the English hunting dog, produced the Modern Labrador Retriever. There is factually a big difference in the appearance between the two…however, there is a significant resistance in the politics of the powers that be…to separate these two Labrador lines. You said that the English Labrador has a thicker coat.I read both English and American Labradors have double layer water proof coats.Which Labrador sheds less. or is there a color of Labrador that sheds less ? I’ve never read of color playing any part in how much a lab sheds. It may have an effect, I really don’t know for sure, but I’ve certainly never read that it does and so would say it makes no difference, otherwise it’s likely I’d have stumbled across this fact by now. That’s correct, all labs have a double coat. 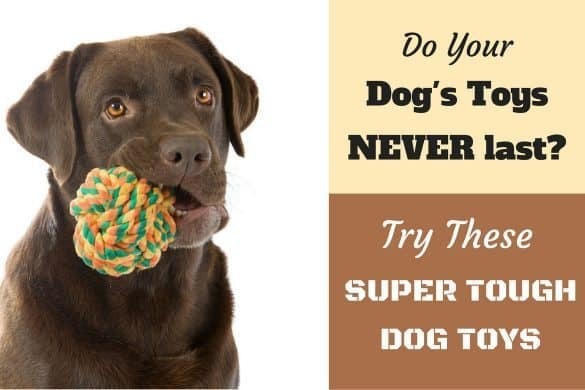 Is there a labrador ‘type’ that sheds less than others? I honestly cannot say. I have never seen it mentioned that ancestry, being working or show type, affects how much a lab sheds. I just adopted a rescue pure bred American Labrador. He’s the sweetest and most loving dog I have ever come across…except for my beautiful gentle Rottweiler who was put to sleep this past January for osteosarcoma. The dog I adopted, Cooper, was exactly one year old when I picked him up and unfortunately showed signs of abuse. Cooper would cower if I just walked towards him. It took me about 6 weeks of shameless spoiling and boatloads of affection to make Cooper feel secure, loved, and totally not afraid of anyone or anything. He’s a beautiful beautiful dog. I just can’t imagine what kind of monster out there abused this baby. In any case, I won and Cooper is going to have a perfectly happy life and no one will ever hurt him again. I had to laugh while reading this because my dog Charlie fit the American lab looks perfectly, yet he was the biggest couch potato ever. He was so calm and lazy. He lived for 15 years and I’m sure he slept for most of them! I miss him so much. If anyone knows of a reputable black lab breeder, let me know! Just in general most common people i.e. 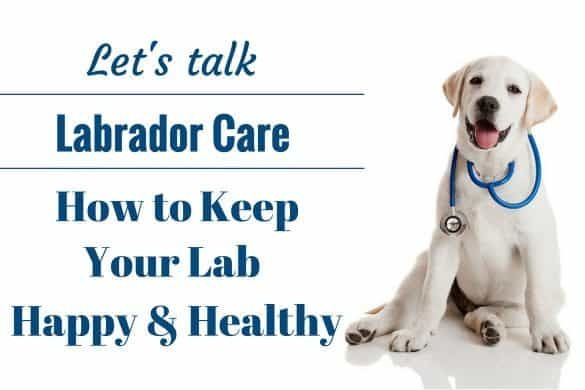 (pet owners) don’t have a clue as to what a healthy weight is for their labs. It’s sort of both funny & sad how owners will take it personal if you insinuate that their precious champion ball fetcher Fiddo is overweight. Like mentioned in another comment, it really depends from dog to dog, height, length, etc. If she is active & energetic like you described I wouldn’t worry. She probably is actually a correct/ healthy weight & very fit compared to the vast majority of overweight labs, both American or English. My dog is a field trial & hunt test dog. He trains like an athlete, eats & has a diet like an athlete, and thus looks & performs more athletically than a house pet lab (A or E) that eats anything & everything in sight, and gets a short walk or fetch for 10 minutes a day, etc. There is nothing wrong about either dog in this scenario. You should see the concerned faces when folks see my dog next to their lab. “Omg your dog is soooo skinny.” When I reply with a “Thanks!, I try my hardest to keep him in great shape, they get such a confused, appalled look like I’m an animal abuser & say something along the lines of give that boy/dog some treats/food/bacon/etc. I’d only be concerned if/when gets sluggish & she doesn’t seem energetic or active, or harder time moving or getting up from laying down. Check the rescues & shelters! I just adopted my 2nd & 3rd rescued American Black Labs (Gus and Zeke) after losing my 12 year old “Luther” to Osteogenic Sarcoma. I am an Indian and most Indians are aware of the UK one. I have a four month old Labrador who has long legs and looks skinny ( her father is an English one and mother American ). Unfortunately, no vet or breeder had knowledge or awareness about this difference, and told me that she might be underweight. This is really sad for the pup, as the pup who stayed with the breeder became obese ( for selling purpose ). It’s interesting that people seem to prefer the stockiness of the english labs. I far prefer “the look” of the American lab – sleek, tall and athletic. I find english labs have a tendency to become way too overweight, though a lab is a lab, and I have never met a more loving breed, whatever their lineage! I have a 9.5 month old black lab who is from field bred or “American lines.” He also has a small amount of golden retriever in him. The result is an extremely handsome, tall and athletic looking boy. He is already much taller and longer then the other labs at the dog park. He stands over 25″ tall at the wither, which I realize is not breed standard, but makes for an elegant looking dog. For the longest time while he was growing quickly, he was extremely awkward and gangly, but now that he has started filling out, we receive comments regularly about how handsome he is. Looks aside, he is a great mix of both energetic and lazy. He definitely needs exercise during the day – so we arrange for him to partake in off leash “pack walks” while we’re at work. He’s out of the house for a good 2 hours a day, and also gets a good walk morning and night. The rest of the time, he’s a great couch lounger, or likes playing a leisurely game of ball in the basement. On weekends, he’s always up for a good hike and a good afternoon snooze. I think if people are prepared to exercise their “american” labs and give them the attention they need, they can reap just as many rewards as they would with an english bred one. We love our guy to bits! Great informative article. Thank you for all the information. I had not heard the term English Labrador until today when I met an owner. His female and my own could be twins. Except that mine is a Golden Labrador(father is a black Labrador and mother is a Golden Retreiver). She is my first dog. I’ve had her for 6 years. She definitely fits the description of American Lab but with a mix of Golden Retriever. Thank you for such a great website. As someone who breeds Labs and strives to meet the Labrador Retriever Club’s breed standard it is frustrating to constantly hear “are they English Labs” as my dogs are all born in the USA. They are not all breed champions but we do compete in the AKC show ring as well at AKC and UKC/HRC Hunt tests. I have dogs competing in Master level agility and Master level barn hunts as well as obedience and rally. These dogs are smart and trainable and love to work BUT they have an “off switch”, something that allows them to chill when we are all in the house together. The field trial lines I owned lacked that off switch making them harder to live with. I also volunteer with a Lab Rescue and 75% or more of the dogs they get in are from field or backyard bred (not committed reputable breeders) and are surrendered because they are too energetic or got too big or need more exercise than owner has time for. For breeders in the US check out Wildrose Labs online. I have a yellow female. She’s three but shows such exuberance when released that folks thinks she’s a puppy. Also small at the shoulder. Her head confirmation is most like the Am description. When we are on our daily hike it’s rare to not get a compliment. We’re in Alaska so perhaps the preference runs to Am. I’m 65 and have had 4 Labs all yellow. She’s easily trained I feel a bit of guilt that I don’t hunt birds any more as she shows all the instinct. I hunted my previous 3. It’s a singular pleasure to work a hunting dog. So mine, Linda, named by my 16 yr old after a Walking Dead character, is I’d say a combination. Her dam is Flush on the Wildrose website. As we say in our family we pity the other dog owners cause we got the best. And she’s ‘the best member of the family’ as my wife frequently reminds me. A good pair of boots, a good rifle, a good wood burning stove, a good guitar, and a great dog….and it sounds like to me that you had a couple of great dogs. Lucy man! I have a Field lab, black, 5 years old. Her name is Annie. She is a bundle of energy and will fetch and run all day long. I work at home and we play with her and our 10 year old yellow lab, who seems to be a mix of Field and Show labs, every day. Annie did take until about age 2-3 to settle into a fantastic dog. She is healthy and athletic – I frankly can’t walk fast enough to tire her out, but periods of frisbee and ball throwing can do the trick. She will also circle the yard when I tell her to ‘go run’. She is super intelligent, as is our other lab, and an absolute joy to have around. She is playful and snuggly and loving. My daugher has a Show lab, black, 5 years old. Her name is Chloe. She is not a bundle of energy and although she will run with my dogs for a while, she doesn’t love to fetch and is perfectly happy to chill out all day. They also have a rescue mix. Chloe is very low-key, which is great as my daughter and her husband work. They got the rescue for a playmate, but have seen on video that they just sleep all day. The Field lab is perfect for me – I love to play and love the high energy of Annie. The Show lab is perfect for my daughter – she loves to chill out with Chloe and lay around on the couch. Either type is perfect for someone; it depends on what you are looking for. The only caveat I would say is that Chloe has allergies, as did our previous show lab, and this has caused much trouble and expense. I don’t know if it is related to the breed or just coincidence, but neither Annie nor Daisy, the one who we think is mixed Show & Field, has any allergies. Labs are wonderful! So smart, so loving, so easy to train and enjoy life with. That being said, my other daughter has a lab mix rescue who looks like a 2/3 scale model of Daisy, and is also wonderful and smart and sweet. Dogs in general are so life-changing! Love dogs! I have a 12 yr old “English Lab”, white with tea stained ears, 72 lbs. Purchased from a reputable breeder in S.C. She is the most gentle, loving, beautiful, stubborn, difficult-to-train dog ever! She is my second lab. She also has terrible allergies so only grain-free high-quality food. Also tore her ACL on her left leg at age 8 (spent $2800 on surgery with titanium plates). Two years later, she tore her other one. Too much arthritis to be able to do surgery. It has way slowed her down but is still loving and adorable. My first one was more of an “American Lab” style, black female, 80 lbs. Adored her as well, lots of youthful energy, but eventually had such bad hip dysplasia we had to put her to sleep at 12. When you commit to a lab, you have to take the good with the bad. They need lots of exercise and attention. They are notoriously naughty dogs if you leave them alone too long. And all about the food so can quickly get too heavy. After having had two Labs, a male & a female, I find them to be the best “People” in the world, and would much sooner spend my time with any Labrador Retriever, than I would with a being of the human kind.